Our intention in burying a vase at the mouth of the Rio Grande was to anchor the entire bioregion and direct our prayers out into the Gulf. This location marks the southern point of the four directions of the original mandala that began this practice. When the B.P. 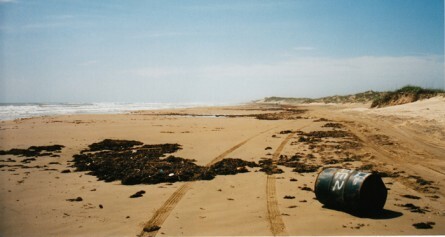 oil spill happened in 2010, this location became all the more important.